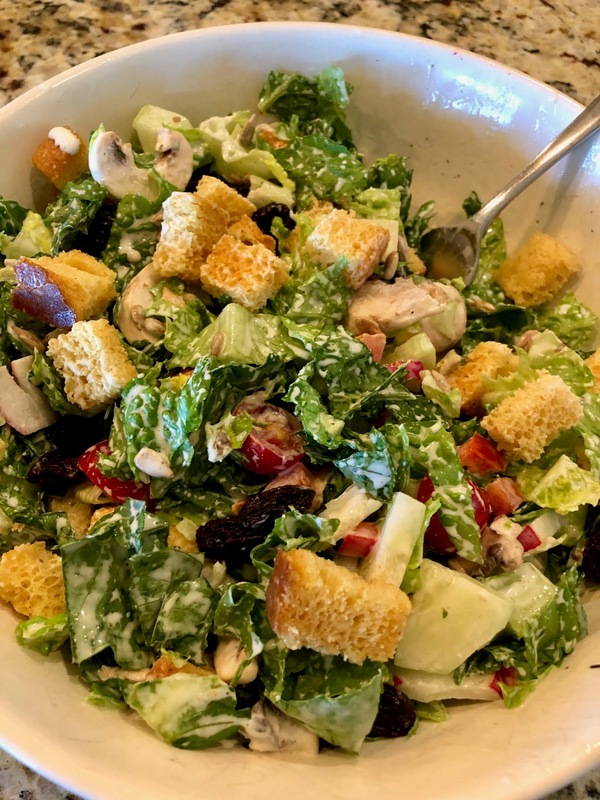 I was never a crouton lover until I started making them at home. 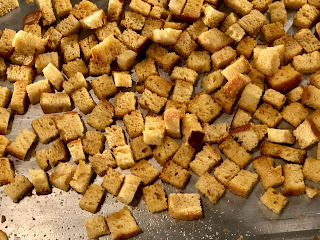 Homemade croutons are the easiest thing to make and so much better than store bought. No bread goes to waste as I make these golden, crunchy nuggets for our daily salads. Now that fall weather is here I can’t wait to make some tomato soup for these croutons! Today I used sourdough but I use whatever bread I have. Here’s my basic recipe but you can get creative with different seasoning. 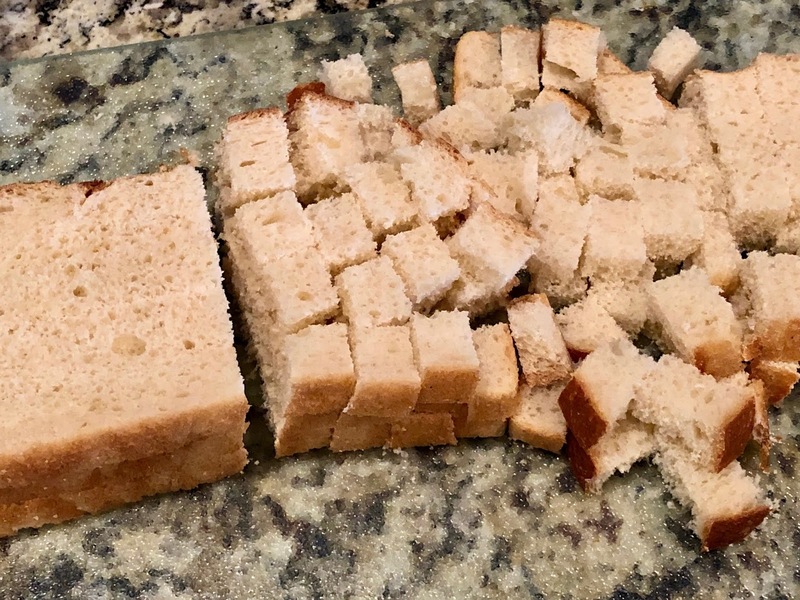 Also, if you are using more or less cubed bread, the ratio of butter/bread is about 1/2 tablespoon melted butter to 1 cup bread cubes. Day old bread will need a little more melted butter. 1. Preheat over to 300 degrees. 2. Spread bread cubes on a cookie sheet in a single layer. 3. Drizzle melted butter over and sprinkle garlic salt, toss lightly and again spread cubes in a single layer. 4. 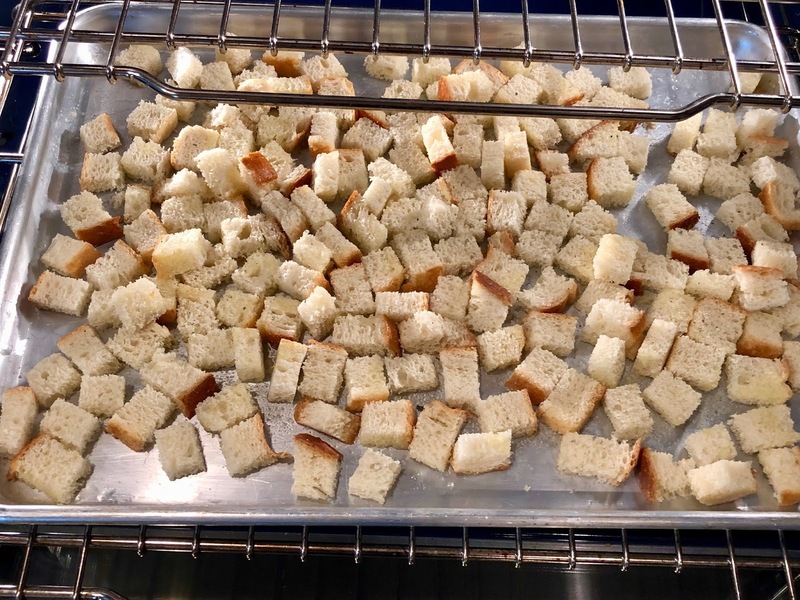 Bake, stirring croutons every 10 minutes, for a total of 30-40* minutes until they are golden and crispy. 5. 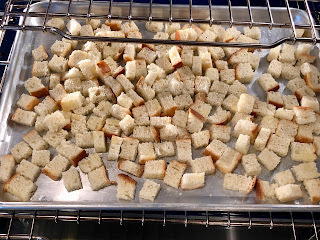 Cool and store croutons in an air­tight container or ziplock bag. Will store for about 2 weeks. Notes: *Baking time will vary depending on the type of bread.